It is well known that women are more likely to invest in their communities than men, and that a developing country that invests in women advances quicker and further. What is amazing is to see this phenomena occur in a society, as I did last month in Kenya. As part of my work documenting Audi's carbon offset program, I flew to the Kasigau Corridor REDD+ Project in the southeastern part of Kenya. 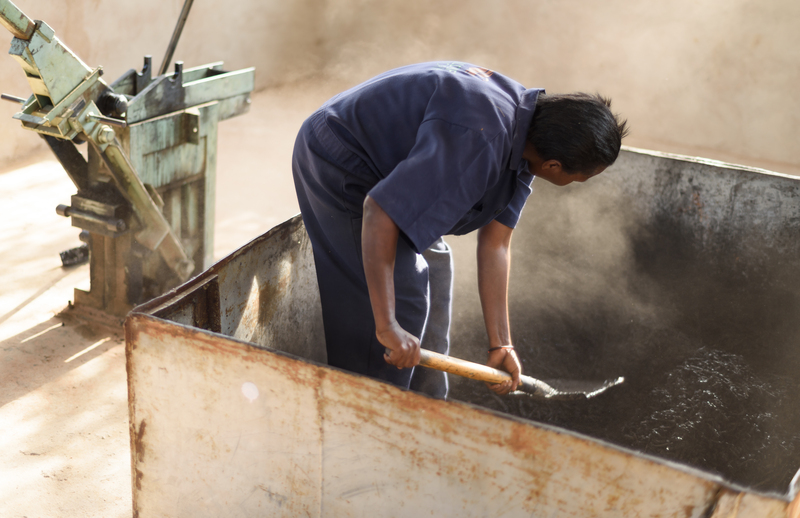 Like in many parts of Africa, women are generally considered second class citizens. But in the Kasigau Corridor, they are creating systemic change that, in turn, is protecting the land. Income is a huge issue in the corridor. Slash and burn farming, the deforestation of the land for charcoal, and elephant poaching all provide quick sources of income for families in need, particularly the men responsible for support. Unfortunately, the income is not sustainable and fleeting at best. The long-term impacts are many. 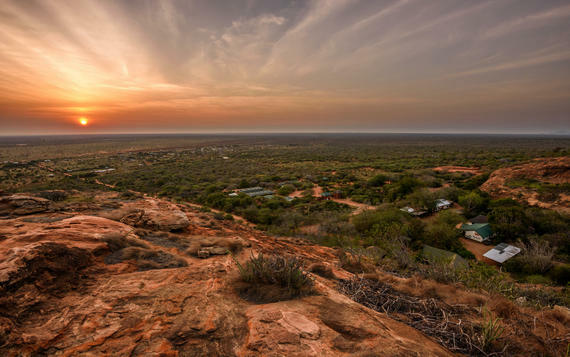 The land is ravaged, meaning less economic opportunity. There is a resulting downward spiral that creates a desperate situation in the home. 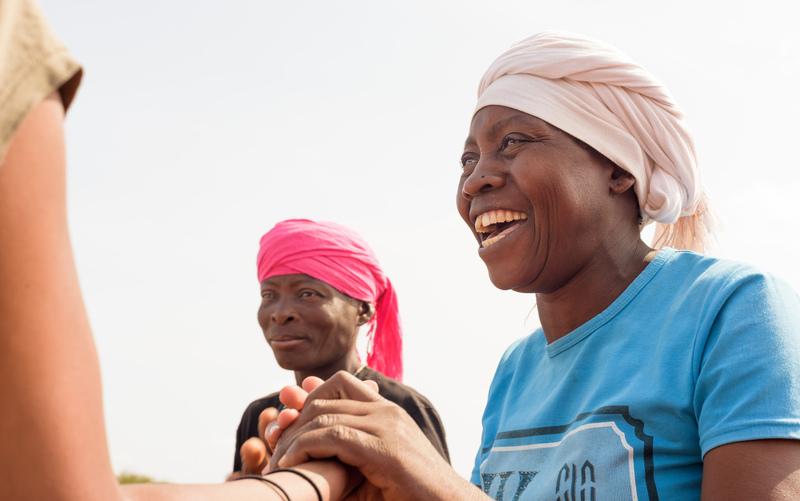 As a result, women often find themselves in suffering households with many risks ranging from HIV/AIDS to extreme poverty. That is why their role in the Kasigau Corridor's recovery is so amazing. 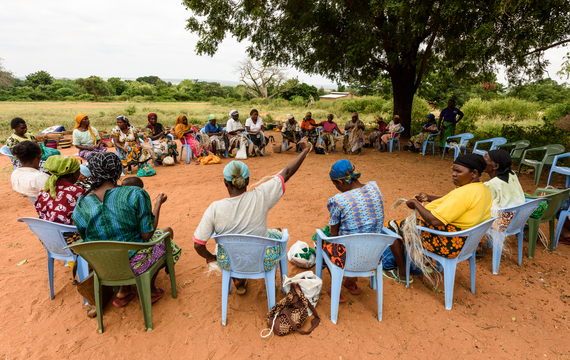 Women's groups in Kasigau Corridor are one of the leading solutions ushering in sustainable change in the region. The loosely knit associations of women engage in entrepreneurial activities like producing arts and crafts sold in the U.S. through the auspices of REDD+ Project manager Wildlife Works. In all, there are 26 registered women's groups in the Corridor, touching 550 women or 4% of the overall population. With the resulting money women are building clean water tanks, buying solar lights and clean cook stoves for their households, and providing an education for their children. Husbands see the positive impact on their households and encourage their wives' newfound roles in the Kasigau community. These Marasi Primary School girls are dressed up for a traditional dance ceremony to celebrate World Environment Day. 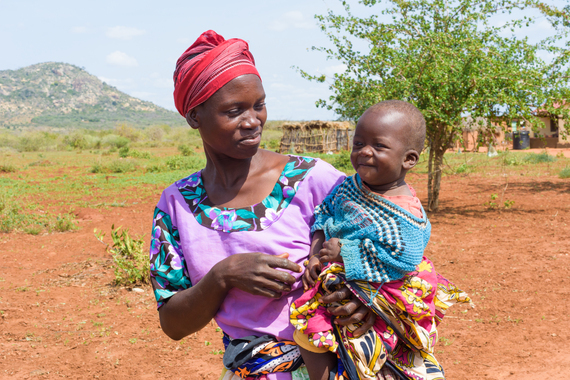 They have a chance for a different future than their mothers, thanks to the changes occurring in the Kasigau Corridor. The impact is far more than numerical though. Each woman has her own story of renaissance. And each story impacts handfuls of others, creating a spreading boon of positivity and economic growth in the Kasigua Corridor. 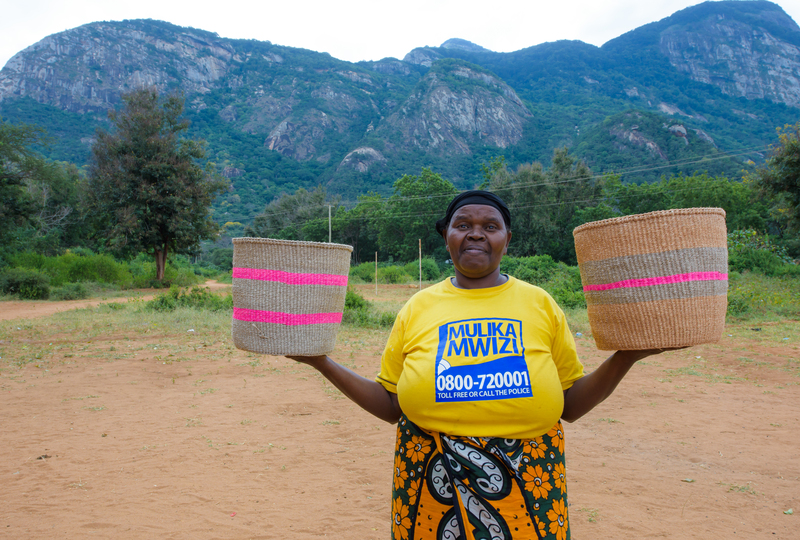 Saum Chaka (above) is a member of the Neema Women's Group, which has been operating since 2011. The group helped her out when a windstorm destroyed her house. She and her six children had nowhere to go, so the group put up funds to house her and her family while the home was being rebuilt. 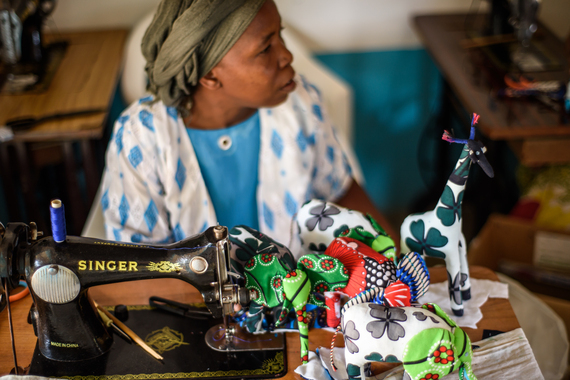 The Neema Group has 15 women in total, and they often help each other out in times of need. They make their money by selling young trees, creating paper from elephant dung, and making beautiful jewelry. Some projects the women have taken on include building a water tank for their community (which ended a five-mile walk for water) and sending their children to school. Jenliza Mwikamba (above) is part of the 32-member, 10-year-old Bungule Women's Group. She said her house was made of grass and leaky, and that her kids did not have beds and were not attending school. Now there is a metal roof over her house, and her children sleep in beds and are in secondary school. She and the other women in Bungule make money by weaving and selling colorful baskets. A third women's group features opportunities for women who have suffered injuries or are handicapped. The Bugata Disabled and Handicapped Group produces stuffed animals for the Wildlife Works markets. Women's groups are powerful, but they are not completely open. A woman must be invited to participate, and participate she must. If a woman does not show up and meet her obligations, she is asked to leave. While the groups are a primary source of revenue for women, there are additional opportunities. 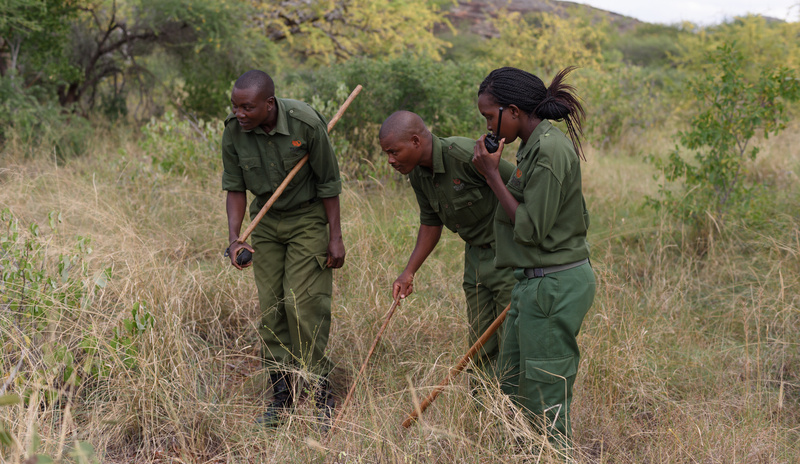 The Wildlife Works Ranger Corps has added women to its staff in its efforts to protect the forest from slash and burn farming and charcoal burning, as well as its wildlife inhabitants from poachers. Other women have joined the Wildlife Works eco-charcoal making team. There are many, many levers that are changing the course of the Kasigau Corridor REDD+ Project area's future. It is clear that women are one of the most powerful ones. When I consider that their reach touches more than 10% of the region, it is clear that the home improvements, education and general living improvements are lifting the morale of the region. I think these levers are a primary reason people are friendly and welcoming in Kasigau. Life is improving and the future looks brighter. Disclosures: Audi paid me to visit Africa and capture content as part of a larger documentary project that will be released this Fall. Audi supports Wildlife Works as part of a carbon offset program that compensates for the manufacturing and the first 50,000 gas driving miles of the new A3 e-tron. All photographs are by me, the author, Geoff Livingston.